The new 2019 Mercedes-Benz G-Class is here, and it’s ready to improve upon a true automotive icon. Upgraded to include even more exciting performance, luxury and safety perks than ever before, the 2019 Mercedes-Benz G-Class will indulge you with the premium automotive experience you deserve. Learn more about this stunning new luxury SUV, then reserve a new 2019 Mercedes-Benz G-Class near Newton, MA, at Mercedes-Benz of Natick. 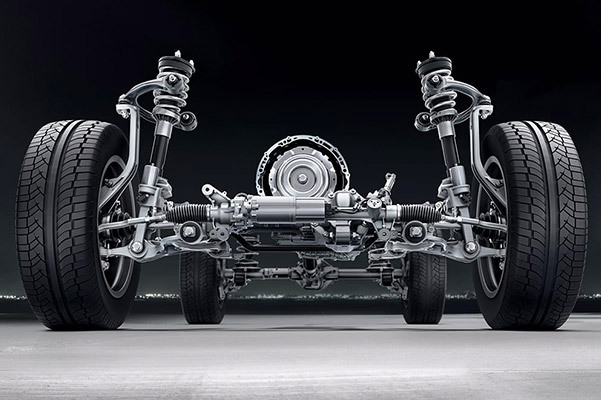 The 2019 Mercedes-Benz G-Class SUV comes powered by an advanced biturbo V8 engine that produces 416 horsepower and 450 pound-feet of torque, giving you the power you need to own any Greater Boston road. This engine comes paired with a new 9-speed transmission with a 2-speed transfer case, all of which can be fine-tuned based on which DYNAMIC SELECT® driving mode you choose. Better yet, the new Mercedes-Benz G-Class comes standard with 4-wheel drive and three lockable differentials, making it ready for any and all off-road challenges. The new 2019 Mercedes-Benz G-Class SUV will help you remain entertained and drive with peace of mind on every journey. A standard 12.3-inch high-resolution central display and COMAND® system with touchpad controller make it easy to access all of the technology imbued in this luxury SUV. Safety features like Active Brake Assist, ATTENTION ASSIST® and Active Distance Assist DISTRONIC® will make driving on city streets and back country roads easier than ever before. Plus, your Mercedes-Benz G-Class SUV offers incredible, customizable luxury features like leather upholstery options, heated front seats, heat- and noise-insulating glass and more that add elegance to this powerful machine. 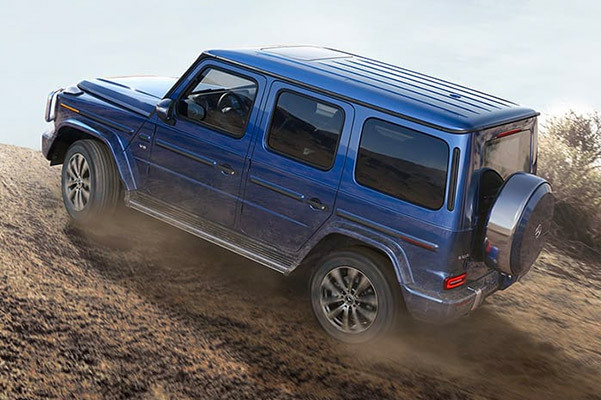 Contact Mercedes-Benz of Natick to reserve your 2019 Mercedes-Benz G 550 or 2019 Mercedes-Benz AMG G 63 SUV today. We can help you customize your legendary Mercedes-Benz G-Class SUV to meet your exact needs, and our Mercedes-Benz dealership near Newton, MA, can make the financing and delivery processes fast, fun and efficient.